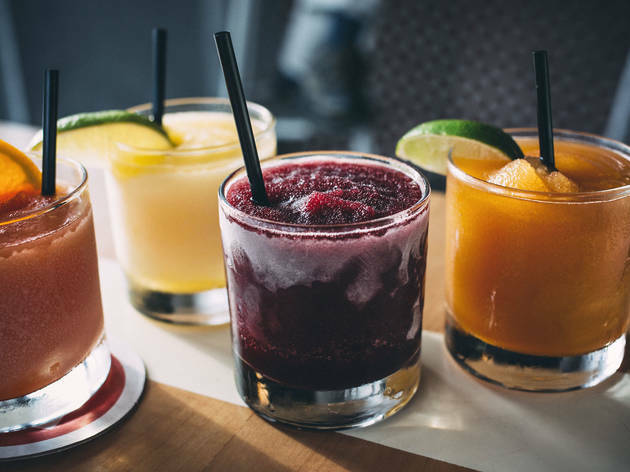 With summer festivals nearly every weekend and other fun events keeping your sunny season packed, you're going to need a way to cool off aside from Chicago's beaches and swimming pools. 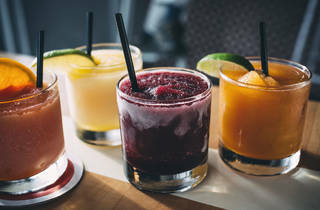 Sit back and relax with some of Chicago's best frozen cocktails, from spicy margaritas to refreshing tiki drinks, classics and more. 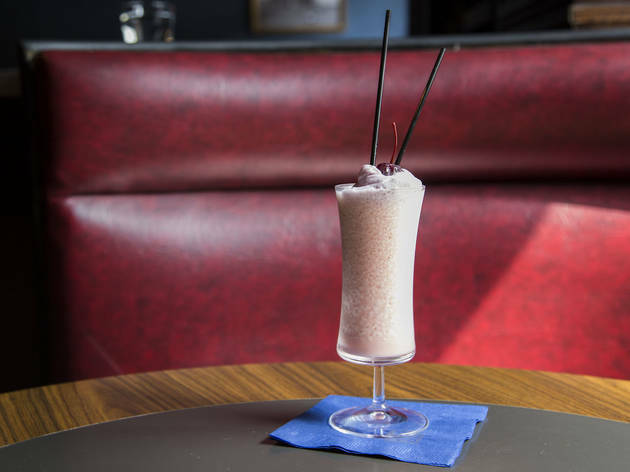 When you're in the mood for ice cream but in serious need of a drink, too, grab the Pink Squirrel at Moneygun; the creamy cocktail tastes like cherries and chocolate and is made with crème de cacao, cream and topped with whipped cream and a cherry. $10.75. 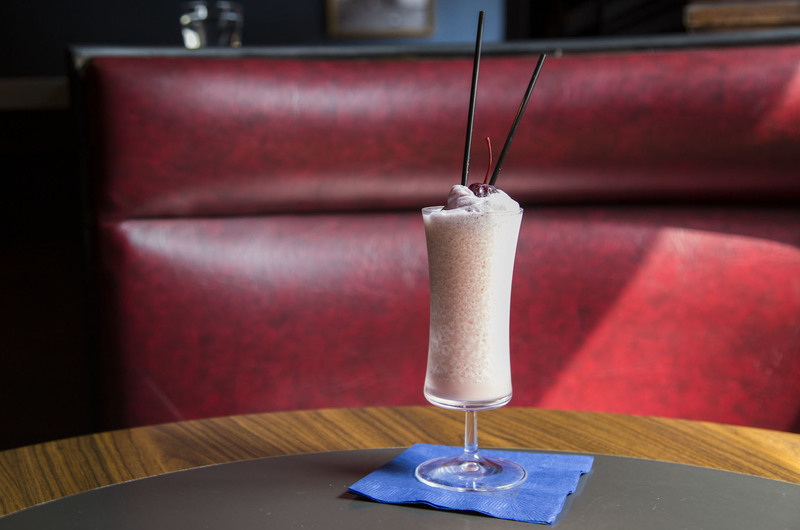 Poured over habanero ice that's made with liquid nitrogen, turning it into a spicy slushy as the ice melts, the Sixth's Drinky McDrinkerson is a margarita with a serious kick. 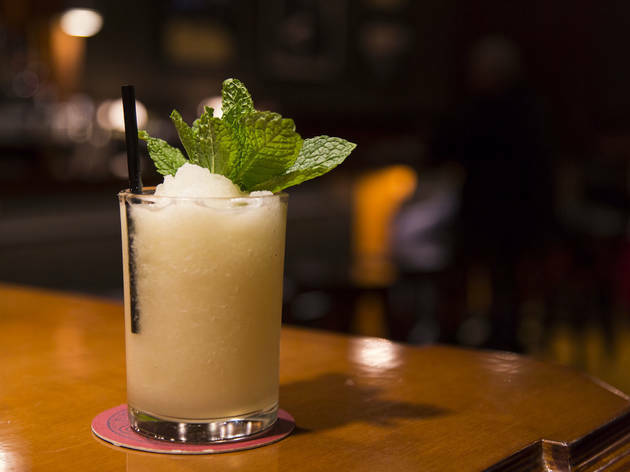 It's refreshing and limey and gets spicier and slushier the longer it sits. 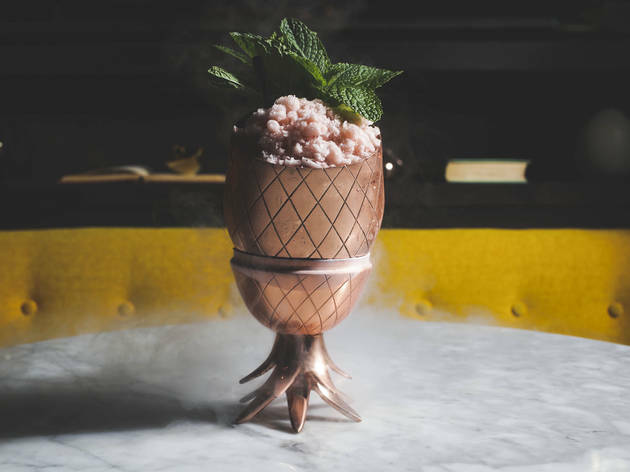 All the cocktails here are whimsical, but this one is especially pleasing, served in a supercool copper pineapple cup with a hibiscus flower, mint and pineapple shrub. $12. If you like playing with your drinks and maybe showing off a bit, the Trinity Tower is a no-brainer. 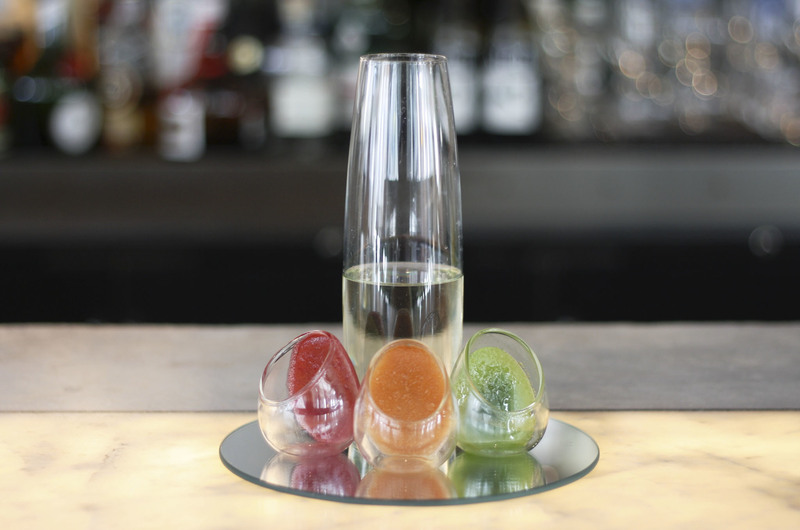 The 50/50 martini comes in a stemless flute with three egg-shaped glasses around it. 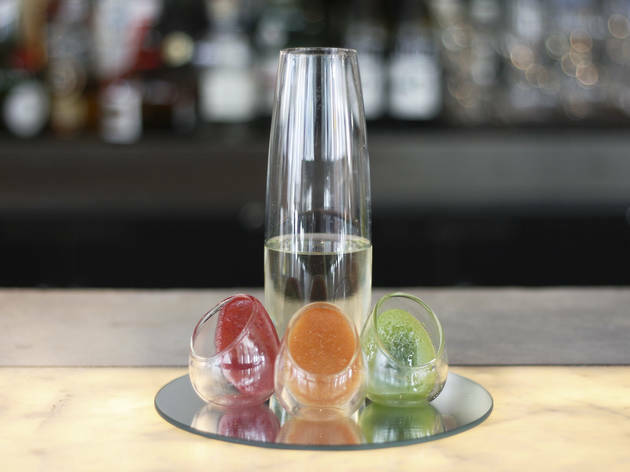 The smaller glasses have seasonal cocktails frozen inside—pick and choose which to pour your martini over. And it's all served on a mirror! $14. 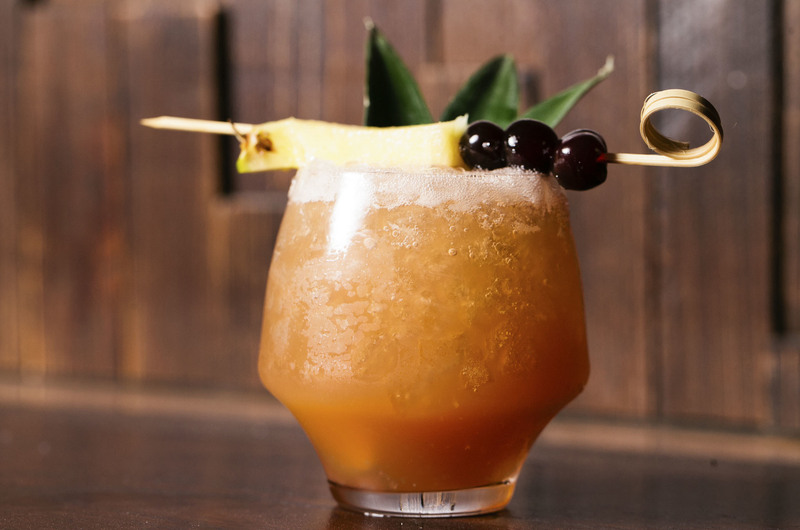 Although the frozen cocktail option here changes nightly, one you'll often see the bartenders slinging is the Jungle Bird. 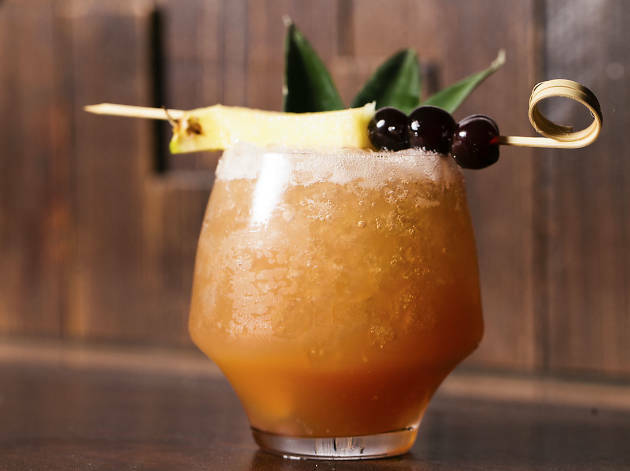 Three Dot sticks to the classic recipe with rum, Campari, pineapple and lime juices, and simple syrup, giving it just enough of a bitter bite while staying true to the tiki standby. $13. 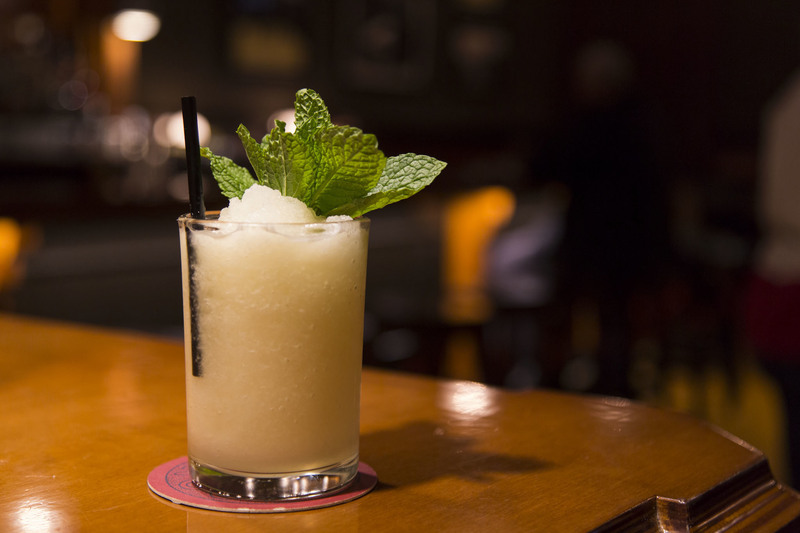 The Frozen's ingredients rotate seasonally, and this summer, it's a refreshing blend of gin, honey and mint. 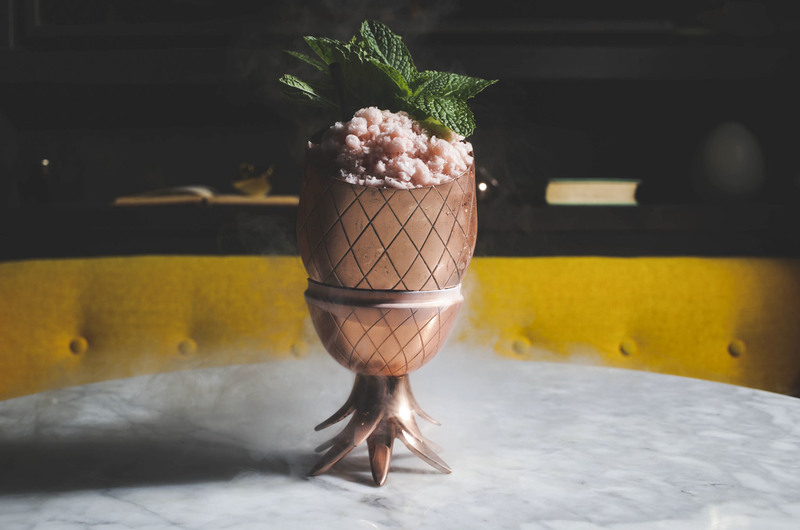 Garnished with a mint leaf, it's pretty to look at and, it goes without saying, is easy drinking—blink and you will have downed three. $10. The Parson's patio is a no-brainer for summer relaxing, and it's even better when you have four frozen cocktails to choose from. 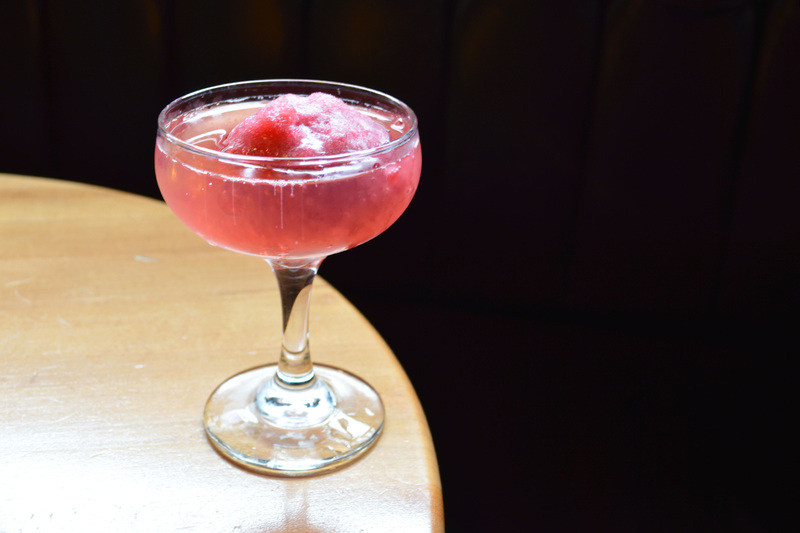 You can't go wrong with any, but we're big fans of the Purple Drink, with red wine, port and orange blossom water. It's refreshing and an easy sipper, in case you're looking for something to knock back quickly. $9. 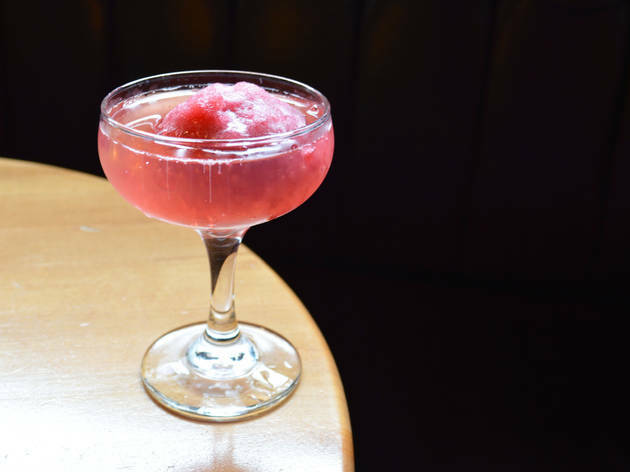 The flavor of the Sgroppino at Lone Wolf is expected to switch out regularly this summer, but the restaurant kicked off with negronis in June, and we're sure the refreshing slushie from the Heisler Hospitality group will continue to fuel us throughout our summer West Loop adventures. $12.